Accidents in Vista occur suddenly, and can leave victims facing a lifetime of complications including large medical bills, lost wages, and lasting emotional trauma. No matter how you have been injured, you should not hesitate to speak with an experienced personal injury attorney today to seek compensation for your losses from the parties responsible. When bicyclists or motorcyclists fail to wear helmets, or when construction workers fail to wear adequate head protection while on the job, traumatic brain injury can result. These injuries can leave victims facing particularly serious complications including steep medical bills and lost wages. Some brain injury victims endure a lifetime of recovery. A personal injury in Vista can help you obtain the compensation you need from those responsible for your brain injury. One of the largest dangers with which bicyclists contend is the difficulty motor vehicle drivers have spotting them on the road. It is not uncommon for a motorist to sideswipe a bicyclist or open a car door up in a bicyclist’s path simply because the motorist did not see him or her coming. Bicycle accidents often result in severe injuries, and require the assistance of a personal injury lawyer to ensure that the victim receives the necessary compensation. There are a number of causes of car accidents in Vista, but the two most common are distracted drivers and drivers who are intoxicated. If another party is responsible for your car accident, a personal injury lawyer can help you recover the damages to which you are entitled. If you have been attacked or bitten by a dog while on public property or while lawfully on someone else’s private property, you have the right to pursue compensation for the resulting injuries. Dog bite injuries can be quite serious, so be sure to seek medical attention right away, and call a dog bite lawyer for help filing your claim. Elder abuse can take a number of different forms, including sexual, financial, physical, and emotional abuse. No matter the type of elder abuse in question, the results can be devastating on you or your loved ones. An experienced elder abuse attorney is prepared to fight for your rights to receive compensation from the parties responsible. Electric scooters offer riders a particularly fun experience. Accidents, however, can and do occur involving e-scooter riders. Because scooters do not offer riders adequate protection during a collision with a larger vehicle, scooter accident victims often suffer catastrophic injuries. A personal injury attorney in Vista can help you obtain the compensation you need after a scooter injury. Even if a person drives a motorcycle in the safest manner possible, there is still a substantial risk that he or she will end up in an accident. The reality is that motorcyclists are hard for other motorists to see on the road. If you have been injured in a motorcycle accident, a motorcycle accident attorney in Vista can help you pursue compensation to cover your medical bills, lost wages, and pain and suffering. 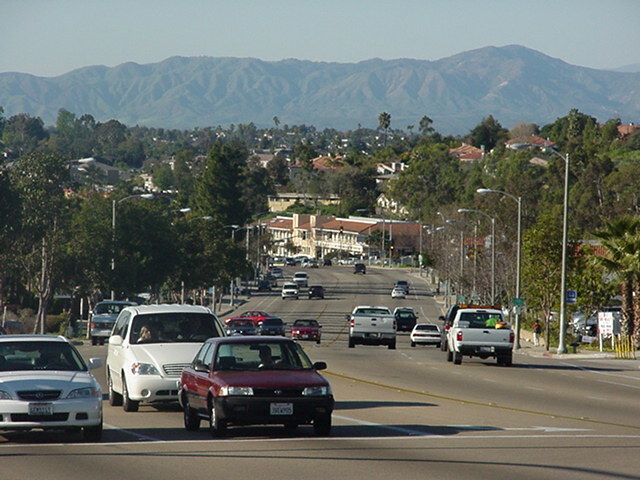 People in Vista love to walk for fun, for exercise, or just to get from A to B. Unfortunately, pedestrians can be difficult for motor vehicle operators to spot, leading to deadly pedestrian accidents. If you or a loved one has been injured in a pedestrian accident, an experienced personal lawyer can help you hold the at-fault party responsible. As consumers, we trust that the products we purchase will work safely and as intended. When products cause injuries, their manufacturers, distributors, and even retailers can be held accountable for the resulting injuries. If you slip and fall because of a slippery floor surface, loose stairway railings, or inadequate lighting, you have the right to pursue compensation for your injuries from the owner of the property where your accident occurred. Back injuries and concussions commonly result from slip and fall accidents, and these can leave victims with piling medical bills and the inability to continue working. If you have been harmed in a slip and fall, an experienced attorney can help you fight for the compensation you deserve. Spinal cord injuries can take various forms, including broken vertebrae and whiplash. These injuries are particularly serious and can greatly impair a person’s ability to move around, make a living, and perform everyday tasks. A skilled personal injury attorney can help spinal cord injury victims fight for the compensation to which they are entitled. Truck accidents can be caused by equipment malfunction, jackknifing, or driver negligence. These accidents often lead to catastrophic injuries, especially when smaller vehicles are involved. If you have been injured in a truck accident, reach out to a personal injury attorney in Vista right away. Rideshare companies have grown substantially in the last few years. Unfortunately, rideshare companies do not always adequately screen their drivers, which means that the possibility of being involved in a rideshare accident is high. A personal injury attorney can help you determine who is responsible for your injuries and hold them accountable. A wrongful death occurs when a loved one dies as the result of the negligence or recklessness of another party. If your loved one was killed an accident, you are likely facing hefty medical and funeral costs. A Vista wrongful death lawyer can help you pursue compensation to cover those costs. If you or a loved one has been involved in any type of accident in Vista, you should not hesitate to speak with an experienced personal injury attorney. Contact our law office today to schedule your initial free case evaluation.